Trade union leader, member of Communist Party. Launched the Federation of SA Women in the 1950's. Ray Alexander Simons née Alexandrowich was born on 12 January 1914 in Latvia. While at school, she displayed little fear in challenging authorities. Her independent thinking suggested she pursue a career in medicine but she soon took up politics. When she was about 13, she became active in the underground Latvian Communist Party. She arrived in South Africa on 6 November 1929, and began to organise Black workers unions. Five days later, on 11 November 1929, after meeting Cissie Gool and lifelong friend John Gomas, she joined the Communist Party of South Africa (CPSA), aged 16. In the same year, she lost her first job when she took part in an anti-pass campaign. She was involved with all facets of the Party's work, and after being dismissed from a job for attending the founding conference of the Anti-Fascist League, she became increasingly involved in trade union activity. Alexander Simons was the Secretary of the Communist Party in 1934 and 1935, and recruited many women into the organisation. She helped organise workers in many different trades, but the union which became synonymous with her name was the Food and Canning Workers Union (FCWU). Founded in 1941, the FCWU spread through the fruit canning industry of the Boland and up the west coast among fishing communities. The FCWU recruited Black and White workers, men and women, and earned the reputation of being both effective and militant. In the 1950s, it played a leading role in the South African Congress of Trade Unions (SACTU). She also wrote a regular column on trade union matters in The Guardian, a newspaper affiliated to the CPSA. In September 1953, she was served with banning orders. It was issued by Justice Minister Swart, and this forced her to resign as general secretary of the FCWU. In April 1954, together with Helen Joseph, Lilian Ngoyi and Florence Mkhize, she helped found the Federation of South African Women (FEDSAW), which fought for women's rights and participated in drafting the pioneering Women's Charter. Her FCWU banning precluded her attending the 1956 Women's March to the Union Buildings, but she was involved in its organisation and recruited about 175 women from Cape Town. After another banning order in April 1954, she was forced to resign from FEDSAW. 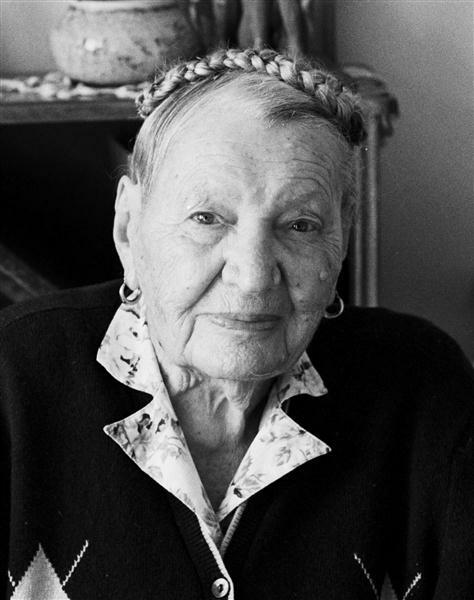 Alexander Simons married Eli Weinberg in 1937, but they separated and she later married Professor Jack Simons, a devoted communist and a lecturer in African Studies, in 1941. On 6 May 1965 Alexander Simons and her husband left South Africa for Zambia. From Zambia they went to England, where he obtained a lecturing post at Manchester University. Together they wrote the classic labour history Class and Colour in South Africa: 1850 - 1950, a pioneering analysis of the relationship between class and race, and how these shaped the South African political and social landscape. They returned to Lusaka in 1967, and were the first Whites to be accepted into the African National Congress (ANC). During this time, her husband lectured in the bush camps in Angola and Alexander Simons continued to do underground work. In 1990, she attended the Malibongwe conference in Holland, which was a follow up to the 1984 women's conference. Alexander Simons and her husband then returned to South Africa in 1990. After her return, Alexander Simons advised various trade unions, as well as the ANC and SACP, and worked on a book on her involvement in the FCWU. Her husband passed away in 1995. Today, Ray Alexander Simons remains honoured for her contributions to organisations like the Communist Party, ANC and FEDSAW, Unions, SWAPO and the New Women's Movement. In 2004, the ANC's National Executive Committee bestowed the ANC's highest honour of Isithwalandwe on this liberation movement stalwart. She is the third woman to receive this award, and some of the previous 18 recipients are Chief Albert Luthuli, Father Trevor Huddleston and Yusuf Dadoo in 1955, Lilian Ngoyi in 1982, Nelson Mandela and Helen Joseph in 1992. Literally translated, Isithwalandwe means "the one who wears the plumes of the rare bird". Ray Alexander Simons died on 12 September 2004, at the age of 91. • Unpublished biography document from the Institute for Justice and Reconciliation.